We have spoken about the value of automatic writing to clear the mind before here on the Still Web. Well, guess what? The internet has created a wonderful tool to make this even easier. It further helps with developing a higher level of tolerance for impermanence and letting go. Try it out today. We dare you to press ‘Let it go’ with ease or not… [psst…if you really want to keep what you write you can save it, but that is not the idea of this daily]. The tool is called Free write. It says: ‘Know Yourself. Experience the magic of free writing. Write every day, without stopping to judge or edit.’ A sample log on screen above. You can join without a credit card for a 10 day trial and then decide if you want to continue. You get to choose a cool avatar and a number of words you want to write daily. Enjoy and remember to check the ‘Experimentals’ and ‘Inspirational’ menu item top right. 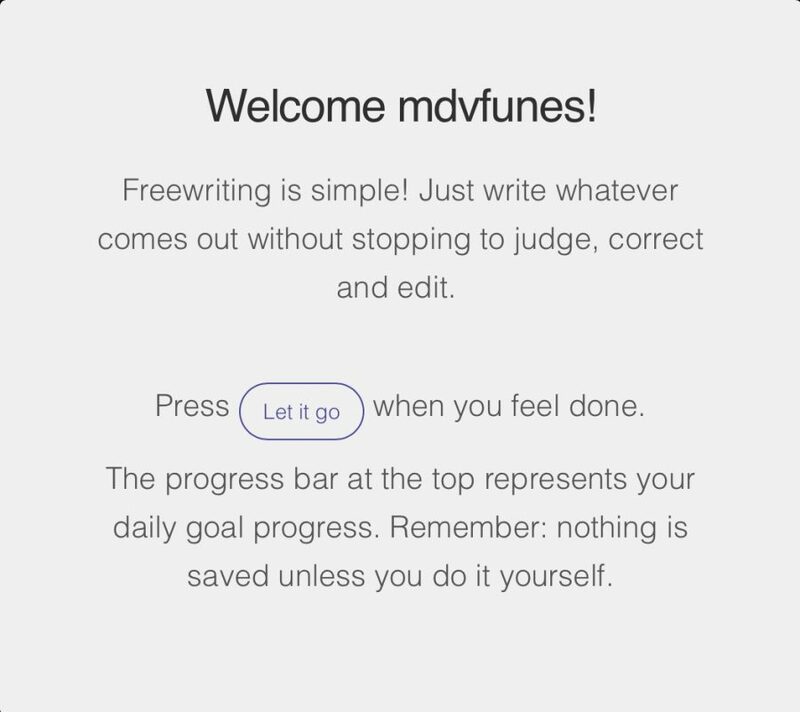 The tool is designed to help writers write, but it can just as easily be used as a mind training tool to clear that monkey mind and find some stillness.